Sorry, everybody who bought a Zune HD! You screwed up. It won't be a part of the XNA Game Studio 4.0 party—meaning it won't play those new mobile Xbox Live games for Windows Phone 7—unlike the Zune HD2. "Development for the Zune and Zune HD will continue to exist in XNA Game Studio 3.1, however, in XNA Game Studio 4.0, we're encouraging you to migrate your games over to the Windows Phone 7 Series platform." That's where the Zune HD2 comes in, which Mary Jo Foley hears is in the pipe, and "will be similar to an iPod Touch," and could ship as early as this year. 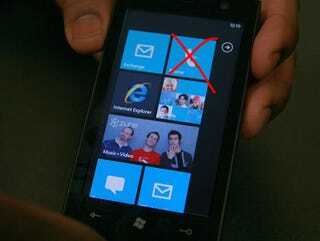 In other words, it'll presumably be a part of that "Windows Phone 7 Series platform" and run Windows Phone 7 apps. Which is what Microsoft will need—as many devices as possible running WP7 apps to give the platform a running start, and a wide base of them that don't require carrier contracts isn't a bad idea. Like Steve Jobs once supposedly referred to the iPod touch as "training wheels for the iPhone," devices running around with Xbox Live games and Zune music, getting people hooked on the platform early, the people who aren't quite ready for a full phone (though maybe that's where the mysterious Project Pink comes in), is almost a necessity, really.